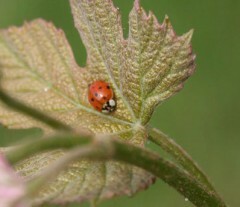 Grape growers benefit from implementing IPM - environmentally and economically sensible ways to protect crops from insects, plant diseases, weeds, and vertebrate pests. We work with grape processors, growers, local extension educators, faculty, crop consultants, and agricultural businesses to find IPM answers, develop new IPM methods, and deliver IPM information. NYS IPM Program Mission: The New York State Integrated Pest Management Program develops sustainable ways to manage pests and helps people to use methods that minimize environmental, health and economic risks. The invasive species Spotted Lantern Fly has made its way to New York. Please read the following press release. We need your help to keep an eye out for these problematic pests.